You need a webcam to play! 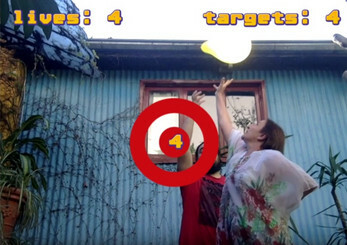 A game for two players and a webcam. The first player must hit the targets on screen using a real balloon. The second player has to pop the first player balloon before all the targets are hit. 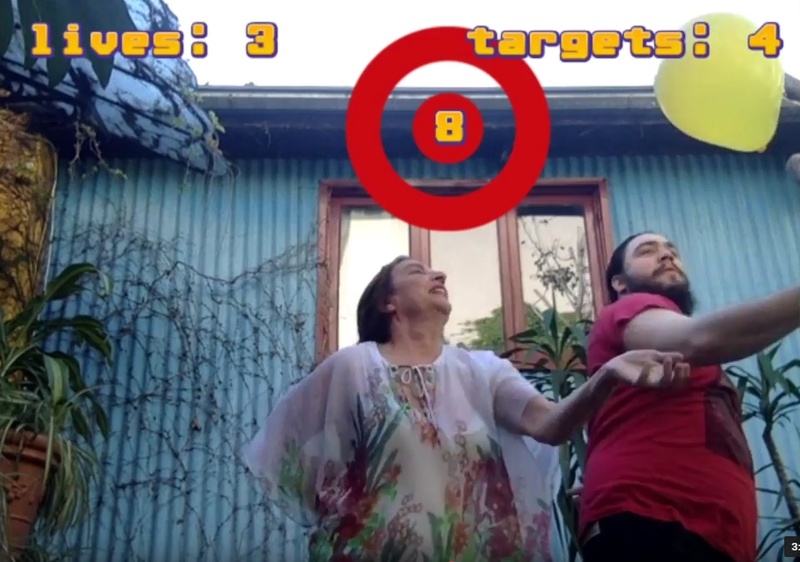 If the first player misses the targets, she loses. Players have to play using only one hand. 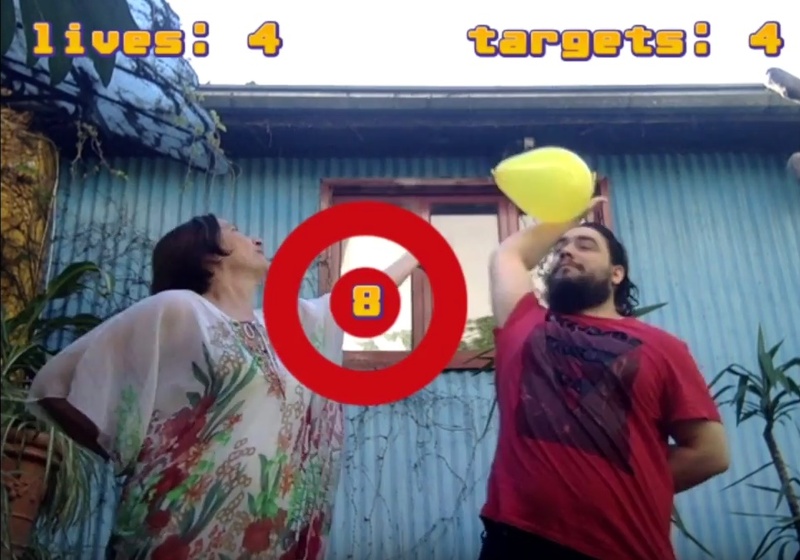 It is best to play in a big area so the players have to trow the balloon to the air to hit some targets. It can also be played with teams. No me pinches el globo! Para jugar es obligatorio tener una webcam. Un juego para dos jugadores y una webcam. El primer jugador debe pegarle a los objetivos en la pantalla usando un globo de verdad. El segundo jugador debe intentar evitarlo o pinchar el globo. Si el primer jugador no le emboca a los objetivos pierde. Es recomendable jugar con una mano y en un espacio grande. También se puede jugar por equipos.